OPINION | The true role of the board is often lost as governance is hijacked, writes Conscious Governance Managing Director, Steven Bowman. The true role of the board is often lost as governance is hijacked, writes Conscious Governance Managing Director, Steven Bowman. Why is the term 'governance' used so often as a descriptor for all things that have gone wrong in an organization. '…..due to a break down in governance', '….not enough governance oversight', '….their governance needs to improve'. The other side of this is where good governance is seen primarily as having the right sort of processes, procedures, charters and policies to tick the boxes of good governance. This notion of governance focuses on governance as a system, a series of checks and balances in an organization, the 'fiduciary' oversight of assets on behalf of the organization's owners and stakeholders. To me, this is a hijacking of the possibility and promise that governance can give to an organization and its stakeholders. What if governance was a lot simpler than most people believe it to be? What if true governance was for the Board ..
for the communities they serve? What if all the governance processes and policies were just tools to assist the Board 'to make the choices that create the future for the communities they serve'? The implications of this simple description of governance are profound. If a Board regards decision making as finding the right answer, then once they have found the answer, they typically stop looking for other alternatives and stop questioning whether that 'decision' is actually working for them. If a Board is looking for the answer, then the information they get after they have found the answer will typically be constructed and filtered to show how right the answer is. There is little questioning around alternatives and options. What if we had the point of view that we would do all the required analyses (financial, risk, strategic ethical etc) and then from amongst the various options that were available, make a choice…and also reserve the right to change that choice if other things changed? Ensure that all board members understand that making a choice is about choosing from options, not from an already completed view of how a particular decision should go. Use the word decision, and mean choice. Insist on at least two options for any Board issue that needs a decision. These two options should be fully analyzed, and the Board's role here is to discuss, question, test and make a choice from options, not rubber stamp. Provide at least two strategic questions for the Board to consider on these options that will open up discussions around the choices that could be made, and the possible implications of these. Be constantly reviewing the strategic environment for anything that might impact on your choice, and be prepared to make another choice if circumstances change. After all, it is only a choice! The role of the board is not to meet and receive reports about how busy the senior executives and the organisation generally is. The role of the Board is to make the choices that create the future for the communities they serve. Creating the future is all about being aware of what is happening in the strategic environment (what's happening out there..), focusing on the things that are likely to have an effect on your organization (what does it mean to me…) and then choosing what needs to be modified, created or stopped (and what do I need to do about it…). The definition of being strategic that I have taught to thousands of executives and Board members is exactly that… 'What's happening out there.. what does it mean to me… and what do I need to do about it…' And doing this constantly. The main role of the Board in this is to ensure that they are constantly scanning the potential future, discussing the potential implications of this for the vision and key strategies of the organization, and making choices about what needs to be done. Facilitate the Board to be more strategic by recasting the Board agenda to reflect the key strategies from your strategic plan. If the Board agenda is primarily operational, then the Board must function from an operational perspective. Add the vision statement to the Board agenda- If the Board choose to use this to inform discussions and decisions, this can focus the discussion on what is really important to the organization. Ensure that staff reports or proposals indicate how they are achieving the strategic directions and where they fit in the strategic plan. Every second Board meeting, arrange for someone to provide the Board with strategic insight into the environment they are making decisions about, and the implications of these insights for the organization. Every second Board meeting have a staff member make presentations to the Board regarding the strategic issues that staff person faces in their area of responsibility, and the Board ask questions regarding those strategic issues. Develop a section of the agenda where Board are encouraged to bring to the Board's attention any changes they have seen, heard about or have some insight into that may affect the assumptions the organization works under through its strategic plan. The purpose of your organization is not to perpetuate itself…it is to make a difference in the communities you serve. These communities will differ from time to time, will change as demographics and strategic focus shifts, and need to be continually monitored for the impact your organization is having. This raises the whole issue of stakeholder engagement to a new level. Stakeholder engagement should be about-who are our stakeholders this year, and has this changed or is likely to change next year….what do our stakeholders perceive as our impact on these communities….how do we engage with our stakeholders to facilitate gr eater change (are they part of our strategic planning, our risk management, our communications about the change that is occurring…). This focus on the communities you serve, at the Board level, maximizes the possibility of the Board being strategic, and minimizes the possibility of the Board being self perpetuating and self-interested. And the discussions that this leads to are fascinating, interesting and can truly lead to change in our world. Which is why our organizations exist in the first place. Involve key stakeholders in your risk identification process, as they will perceive your organization from a different point of view, which may unlock some potential risks you had not considered. Develop performance measures that identify the changes in your communities from the strategies and programs you are undertaking. Some of the simplest yet most profound measures are to do with measuring communities perceptions of the changes created by your existence. This will keep the Board grounded in their reason for existence. The true role of Board meetings is to facilitate Board members to 'make the choices that create the future for the communities they serve'. The practical application of this simple definition is what creates truly generative Boards that fulfil the promise that the organization offers to its communities. 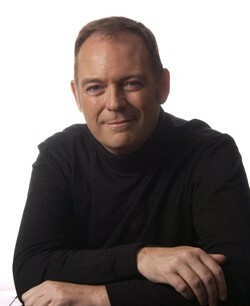 Steven Bowman is a director of LifeMastery and the Conscious-Governance.com online resources, based in Melbourne, Australia. He is sought after by Not for Profits globally as an expert adviser on conscious leadership, governance, strategic innovation, and awakening the power of strategic awareness within Not for Profit organisations. Very thoughtful outline of excellent ways to deepen the boards efforts. Spelling things out clearly like this can be the difference between an excellent board and a mediocre board who simply “shows up” and feels that’s all there is to their job. Thanks, Steven!